Democrats are complaining about what they believe is the media’s penchant for heaping loads of praise on the white men running against President Donald Trump in 2020. They want to know why the lady candidates are not receiving similar treatment. 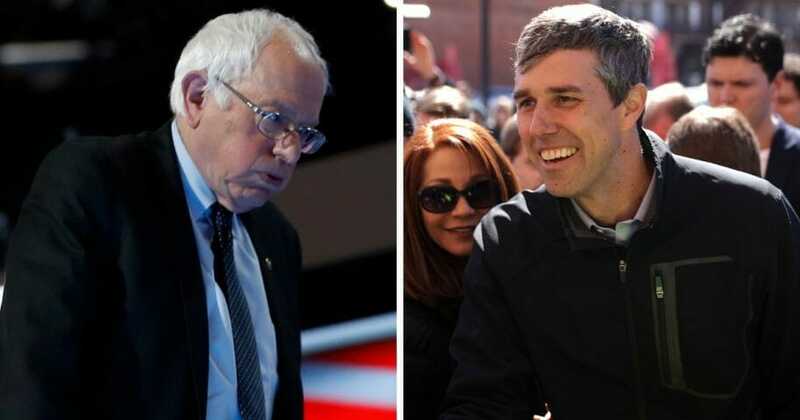 National media are piling too much praise on Beto O’Rourke and Sen. Bernie Sanders of Vermont, according to Mary Anne Marsh, a Democratic political consultant. It’s not fair to the women in the race for the White House and is starting to look a lot like a replay of 2016, when reporters focused on then candidate Donald Trump over Hillary Clinton, she believes. “I feel like the media is always captivated by the person they seem to think is a phenom: Bernie. Trump. Beto. But they always seem to be white men who are phenoms,” Marsh told Politico Friday. A Democratic adviser for Clinton, who was a former secretary of state during the Obama administration, mirrored Marsh’s sentiments. There’s also a gender imbalance at play, Democratic pollster and strategist Celinda Lake claimed. The women running have received the bulk of the negative coverage, she added. Minnesota Democratic Sen. Amy Klobuchar, for instance, was forced to defend reports about treating her staff poorly. She also got dinged for using a comb to eat a salad. Do you agree with Democrats who are blaming the media? “I think if you look at the pattern, there is a real distinction between the way men were covered and the way the women were covered. There’s a huge double standard,” Lake said.